YEAR IN REVIEW… The Storm would once again challenge for the OHL crown in 1997-98. The team dominated their last 7 games of the regular season to capture their third OHL regular season championship in four years with a record of 42-18-6. 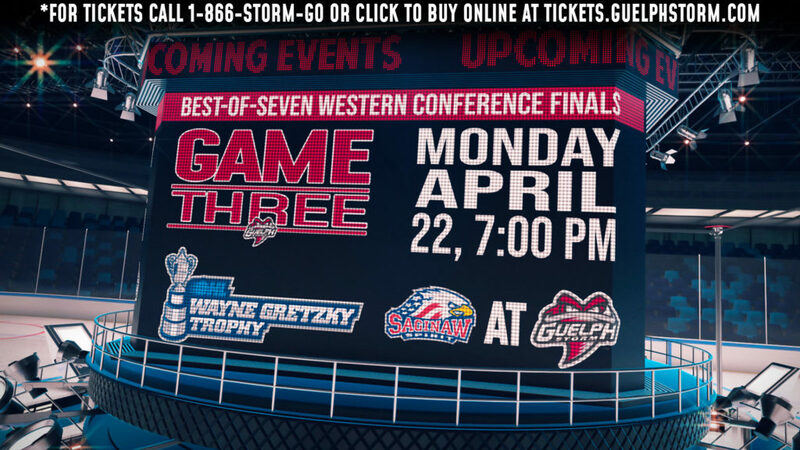 In the playoffs, the Storm quickly advanced to the OHL Finals with series sweeps over the Sudbury Wolves and Plymouth Whalers. In the OHL Championship, the Storm skated to a 4 games to 1 win over the Ottawa 67’s to capture their first OHL Championship and earn a berth in the 1998 Memorial Cup, their second in the past three seasons. At the Memorial Cup the Storm advanced to the finals were they lost a heartbreaking game in overtime against Portland.